Please consult this sizeguide above to determine your size in this dress. On the left Bunny's sizinglabels 'XS-XL', followed by our sizingindications 'UK size approx.' and matching bodymeasurements. Bust does stretch due to elastic smock on the back. 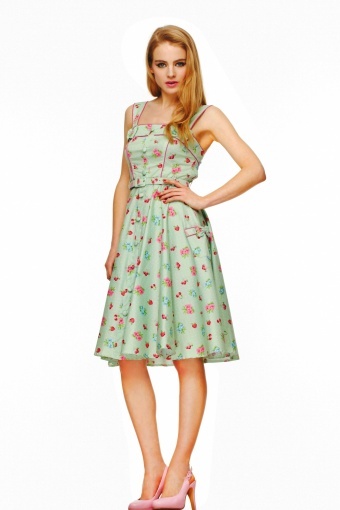 Gorgeous 1950s style Tigerlilli Dress Mint Green Summerfruit from Bunny. Love at first sight! 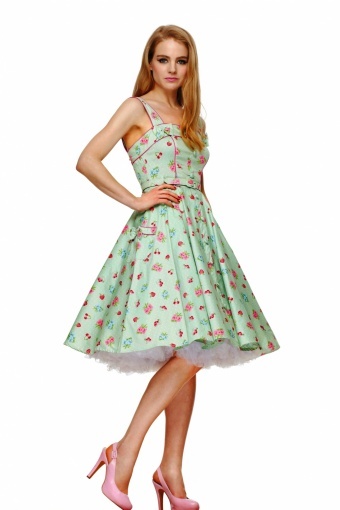 This is an übercute vintage style dress, in a trendy Mint Green colour with small white dots and summer fruit and floral print ending in a flowing full circle skirt made of coton with stretch. 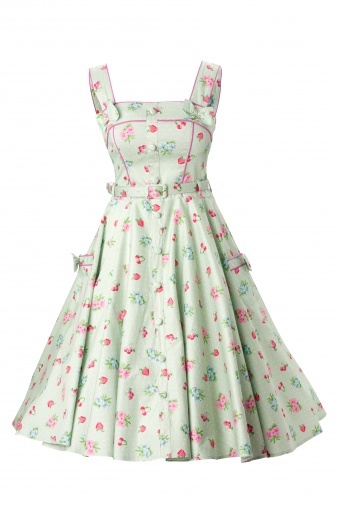 The fuchsia pink piping gives this dress the extra vavavoom! Fitted top (unlined) with faux buttons and the back has an elasticated panel which ensures a perfect fit around the bust and waist. 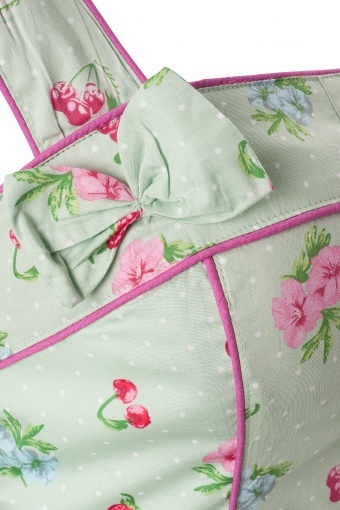 The shoulder straps are adjustable with a small button on the back. The removable belt enhances your waist. 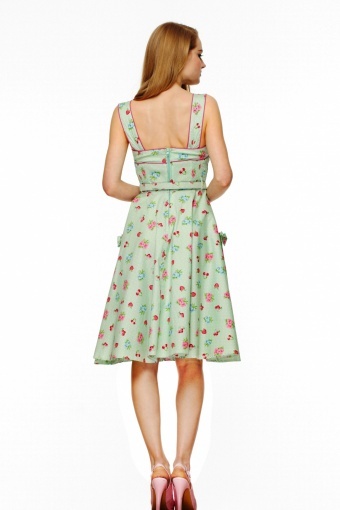 It can be worn with a petticoat underneath to add volume as shown on one of the pictures. TopVintage customer Pearl Blanched sent us this fantastic picture!